In his recent decision in the case of Gorzkowski v. Modern Gas Sales, Inc., No. 14465 of 2013 aff’d in non-precedential decision No. 163 M.D.A. 2015 (Pa. Super. 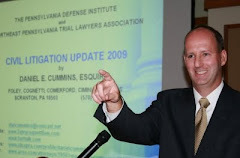 2015), Judge Joseph Sklarosky, Jr. of the Luzerne County Court of Common Pleas addressed the law regarding proper declaratory judgment actions and sustained Preliminary Objections in the nature of a demurrer against a declaratory judgment Complaint. This matter arose out of a dispute over the ownership of certain stock certificates which was made part of a declaratory judgment action. The Defendant filed Preliminary Objections in the nature of a demurrer. Judge Sklarosky noted that declaratory judgment actions serve as judicial searchlights switched on at the request of a litigant to illuminate an allegedly existing legal right, status or other relation. Noting that the law allows a party to seek a declaratory judgment in order to declare the legal rights, duties, or status of the parties to an action only if such a judicial declaration will aid in the determination of a genuine justiciable controversy. Stated otherwise, the court found that a declaratory judgment will not be allowed to determine rights in anticipation of an event uncertain to occur. Finding that no actual controversy existed or was imminent or inevitable, the court granted the Defendant’s demurrer to the declaratory judgment Complaint filed. In so ruling, the court declined to essentially render an advisory opinion on the declaratory judgment Complaint which may ultimately prove to be purely academic given that the underlying anticipated events at issue may never occur. As noted above in the citation, Judge Sklarosky’s Opinion was affirmed on appeal in a non-precedential decision by the Pennsylvania Superior Court. Anyone wishing to review Judge Sklarosky’s trial court Opinion may contact me at dancummins@comcast.net.